Owlfrost dipped his head. Im sorry. I was just passing through with my friend. He will be back shortly, it will only be a few more moments. He said. Warstar growled better hurry.... I already dealt with Tigerclaw and i will deal with you. she hissed Nightpelt Graypaw, Guard the Apprentices den she ordered and her orders were carried out. Owlfrost nodded. 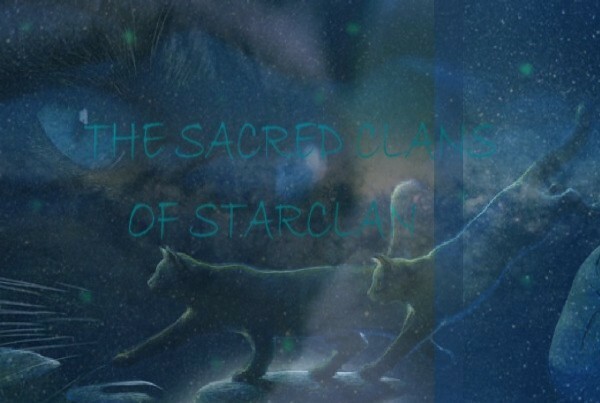 I have heard many stories of Tigerclaw. He said getting up. Oaktree, lets get going now. He meowed. Tigerclaw appeared from behind a tree. Coming Shadepelt! He meowed heading for his friend. Sorry to bother you. He meowed. Tigerclaw and Owlfrost dipped their heads. Very well. They both hissed. They stalked away towards the twolegplace. Bearstep walked out. Such stupid cats. He said rolling his eyes. Bearstep purred. It wont be long before they are exiled. He said walking back into camp. Warstar nodded Good, if they pick a fight with Lavaclan, they will get burned she said and padded into her den. Warstar remembered The Gathering! she purred. Bearstep nodded. We have time to choose who will stay and go though, or are we taking everyone? Bearstep said. Jadepaw walked up and sat down beside her father. Warstar left to Four Trees with Nightpelt and Fighterpaw, she waited for the others. Bearstep and Jadepaw quickly followed.